Remember those games of British Bulldog you played as a kid? Imagine if instead of having to drop out when you were caught, you could just play on. No penalty, no deterrent, no point. 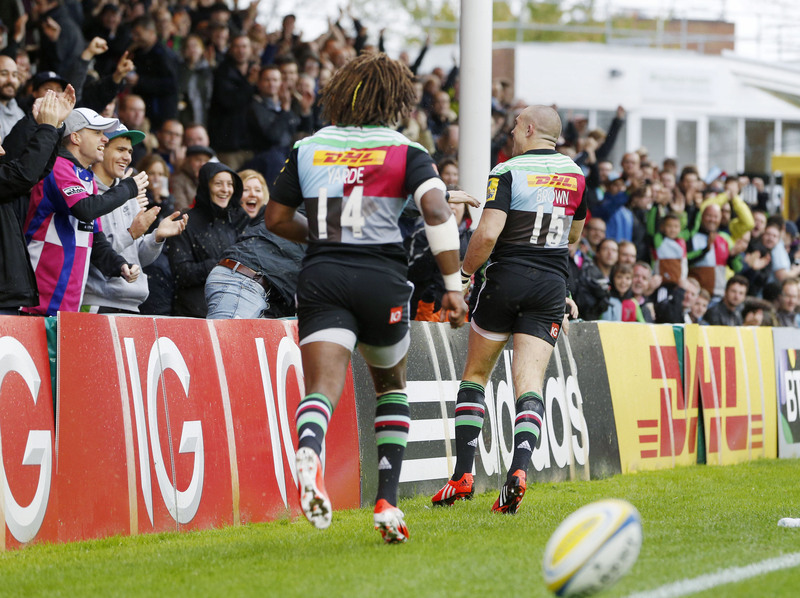 It seems England’s top clubs are cooking up something similar in the Aviva Premiership. A proposal to increase the Premiership to 14 clubs and do away with relegation has been discussed, and it doesn’t take a genius to work out that Bristol and Worcester – streaks clear of the rest in the Championship – could neatly become the two extra additions. This tiresome issue, which was rightly batted away by the RFU when it last surfaced in 2010, has been further fuelled by the week-to-week mediocrity of London Welsh. Unequal funding is one reason why the Exiles are heading for the worst-ever Premiership statistics, but they are the exception to the rule. Most promoted clubs are competitive, despite heavy financial and logistical disadvantages, and those suggesting that the gap between England’s top two divisions is now too big to bridge are being disingenuous. The arguments against ringfencing are so patent and powerful that it beggars belief that Premiership Rugby representatives would waste their breath on the notion in the boardroom. Sport is about competition, not closed shops. Exeter Chiefs are usually cited as proof that an ambitious small club can become an ambitious big club, but Worcester and Rotherham are others who marched up through the leagues to play in England’s top tier. In fact, 28 clubs have played in the top flight and, of the four ever-presents, Leicester are alone in never flirting with relegation. Who are the powers-that-be to decide that, from 2016-17, no one outside their current cosy cabal should be allowed to dream? That Cinderella cannot go to the ball. 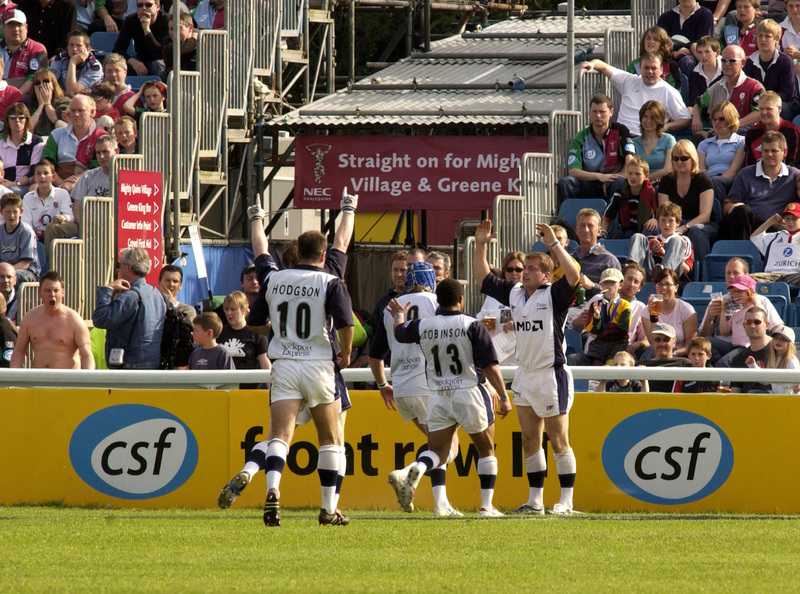 What of go-getting London Scottish or Yorkshire Carnegie? Or Doncaster, who hope to host Premiership action at their superb 22-acre Castle Park facility? Or Cornish Pirates, who want to do for Cornwall what Exeter have done for Devon. There will be clubs we cannot guess at who might one day make the big time. Doncaster were in Yorkshire Two – level ten – when leagues began in 1987 (had ring-fencing been enforced then, Northampton and Saracens, last year’s Premiership finalists, would have missed the cut). So let’s not have Premiership clubs playing kingmakers, decreeing that the trapdoor be shut at a given moment in time that suits them. And let’s consider the numerous ‘dead rubbers’ that would arise if promotion and relegation was scrapped because there would be so little riding on the outcome. It’s one reason why crowds in Super 15, with its fixed franchises, have dwindled. Many of the game’s most dramatic Premiership moments have arisen because the stakes were high. Like Tom Varndell’s 2012 tackle on Sam Vesty to earn Wasps a vital losing bonus point at Bath. Like the 21-point lead Leeds took at Northampton in 2011 that threatened to save them. Like Mark Cueto’s late try for Sale to send down Harlequins in 2005, on a final day when any of five teams could have been relegated. However, to just dismiss ringfencing isn’t enough. Action is required because the funding issue is driving a wedge between the top two English divisions. Championship clubs receive an inadequate £350,000 a year from the RFU, 10% or so of the sums going to top-flight clubs, and Jersey chairman Bill Dempsey was spot-on to describe that financial model as “unsustainable”. Furthermore, Championship clubs have dual-registered players who, were the club to gain promotion, would need to be replaced at great expense. It’s a catch-22 that stymies ambition. So the RFU needs to reach deeper into its pocket, to raise the central funding for clubs that are trying to enter a league where large squads of exclusively full-time players, supported by fully professional coaching, medical and administrative staff, will be essential. It’s been suggested that a moratorium on promotion and relegation be applied, to give a club going up time to bed in. Others favour the licensing system that British rugby league used for seven years, but which they have just ditched in favour of the results-based format that fans know and love. No, access must exist each and every season, even if you decide to narrow the doorway. Would a play-off between the Championship winner and bottom-placed Premiership side have merit? It’s dubious. If London Welsh played Bristol or Worcester this May, whether over one leg or two, could we really expect the Championship team to overcome a team battle-hardened by a season of Premiership action? Yet the return of a top-v-bottom play-off would be infinitely preferable to a glass ceiling, to a world where clubs climbing Everest will be told to stop and turn round just as the summit is in sight. That’s not what sport is about.